Description of the bouquet: Inexperience and passion, tenderness and madness all intertwined in this unique bouquet. It would be the best gift for you sweetheart. 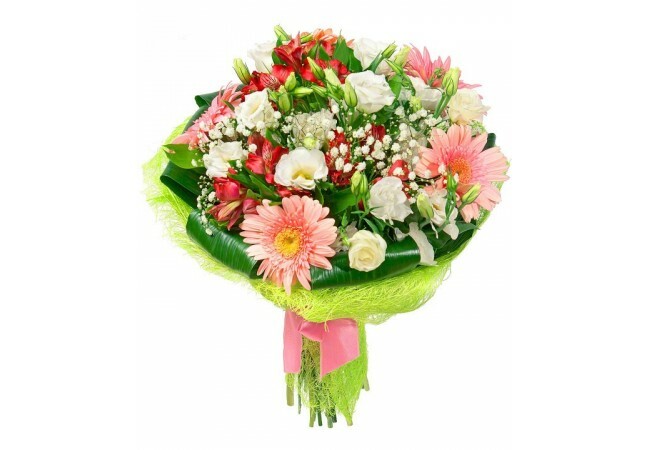 Composition: pink gerbera- 5, red alstroemeria- 5, white eustoma- 7, greens, decoration. You're the flame that plays and tormented. You are the wind and the raging passion. As you all soulless fade. As you have the will and power of course.